The Nikon D7100 is available with special discounts starting on Black Friday. Nikon is offering a combination of discounts on both the D7100 as well as with extra lenses that can save hundreds of dollars. The D7100 camera body is available with $100 instant discount, while the D7100 with 18-105mm lens kit is now $200 off. The best deal is on the D7100 with 18-140mm lens which is now $400 off. 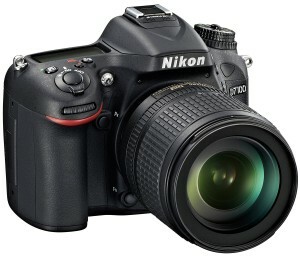 But the deals get even better when you add in extra Nikkor lenses with your Nikon DSLR purchase. Lenses are now offered with discounts up to $300 each when purchased with a Nikon DSLR including the D7100. A total of 30 lenses, two Speedlights and two teleconverters are available at discounted prices with camera purchase. Lenses range from primes, to macro, to fixed aperture zooms, and superzooms. There has never been a better time to get the Nikkor lenses you have dreamed of owning. 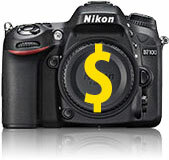 To sweeten the deal, many Nikon dealers also include free accessories, ranging from camera bags to memory cards. Amazon is offering a 32GB Sandisk Extreme SDHC card and DSLR camera backpack to store your camera, lenses and accessories. This entry was posted in Discounts, Lenses, Nikon D7100, Rebates on November 29, 2013 by D7100 Admin. Nikon is offering instant rebates on the D7100 body, body and lens kit and additional discounts on lenses when purchased with a Nikon DSLR. Lens discounts are up to $300 per lens on a selection of 30 Nikkor lenses. 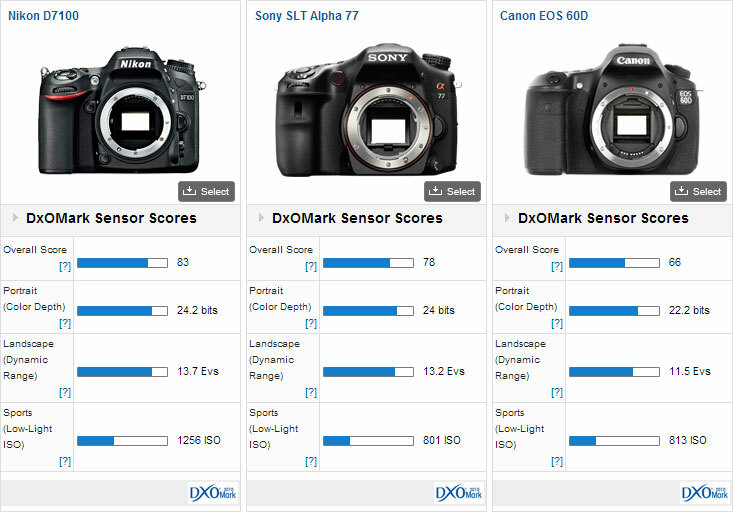 If you plan to buy the D7100 and extra lenses, now is the time to make your purchase. Additional discounts are offered on SB-700 and SB-910 flashes and TC-14EII 1.4x and TC-17EII 1.7x teleconverters. These offers will expire September 28, 2013. For example lens offers include $100 off the 50mm 1.8G ($369), 85mm 1.8G ($396), Micro 60mm f/2.8G ($449), Micro 85mm f/3.5G (426). Save $300 off the 18-140mm f/3.5-5.6G VR ($296), 18-300mm f/3.5-5.6 VR ($696), 24-120mm f/4 VR ($996), 70-200mm f/4 ($1096). With so many lenses at such great discounts you could get several and essentially have a new camera for free! 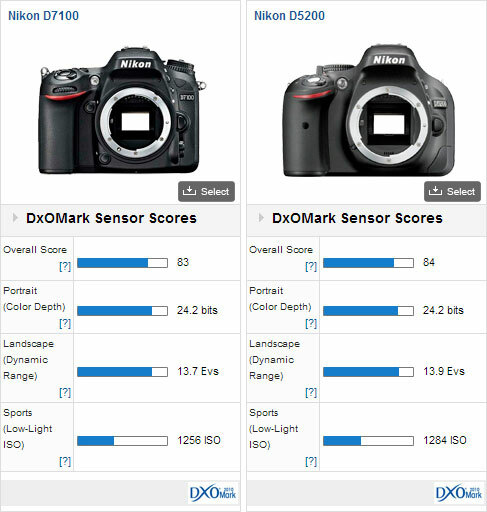 This entry was posted in Deals, Lenses, Nikon D7100, Rebates on September 4, 2013 by D7100 Admin. The Nikon D7100 has not yet been available for a full month, but with the latest promotion you can save up to $350 on a D7100 plus lens bundle. The current offer includes between full-frame (FX) and crop (DX) lenses and Nikon Speedlight flash bundles when purchased with the D7100. The discount is applied as an instant rebate off the purchase price. 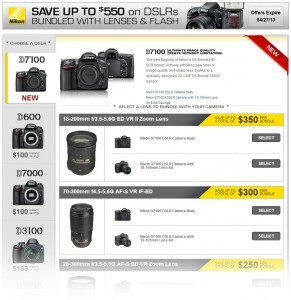 You can get this offer at participating Nikon retailers, including Amazon , B&H Photo. 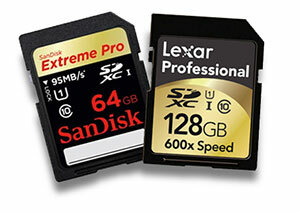 These offers are set to expire on April 27, 2013. This entry was posted in Announcements, Deals, Lenses, Nikon D7100, Rebates on April 12, 2013 by D7100 Admin. 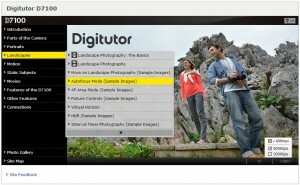 Nikon made the first public showing of the new D7100 at the 2013 BVE Show in UK. Several interesting points were mentioned. 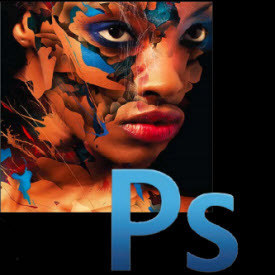 First, there is no anti-alising filter on the 24 megapixel sensor. Part of the choice for this was because due to the high resolution: the sensor resolves such fine detail that the risk of visible Moire is reduced. On a similar point, the lens choice for optimum sharpness with such high resolution is more important than ever, “there is no substitute for good glass.” The improved EXPEED processor also provides Moire correction. The D7100 hosts a more advanced 51-point AF system. In Live View, contrast detection is implemented over the entire frame. The contrast detect auto focus in Live View has been optimized for speed and reduced hunting compared to earlier video auto focus integration. The LCD display uses RGBW pixel configuration to provides increased brightness and improves viewing outdoors and in bright light. Finally, the ability to control the aperture in Live View must currently be selected before recording begins. Nikon is “working on” a fix for this and is waiting for Nikon Japan who has the task of allowing this via a firmware update. Finally, weather sealing on the D7100 is at the same level as the D800. This entry was posted in D7100 Video, Nikon D7100 on March 18, 2013 by D7100 Admin. 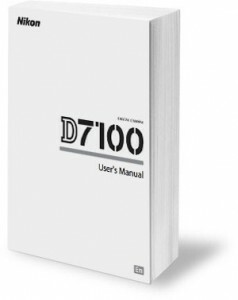 Nikon D7100 Instruction Manual is available for download. The User Manual is available in English. This is the same as the printed manual included with the camera. 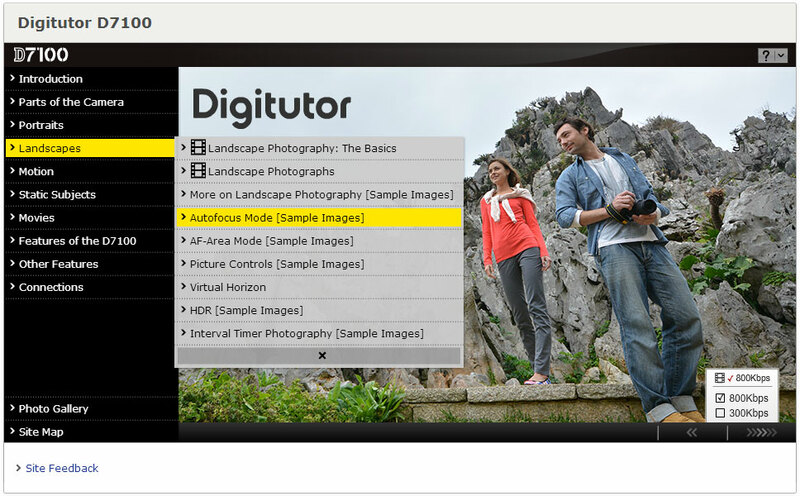 Nikon D7100 Digitutor is a virtual classroom to walk you through the features and functions of the D7100. This entry was posted in Announcements, Instruction Manual, Nikon D7100 on March 15, 2013 by D7100 Admin.